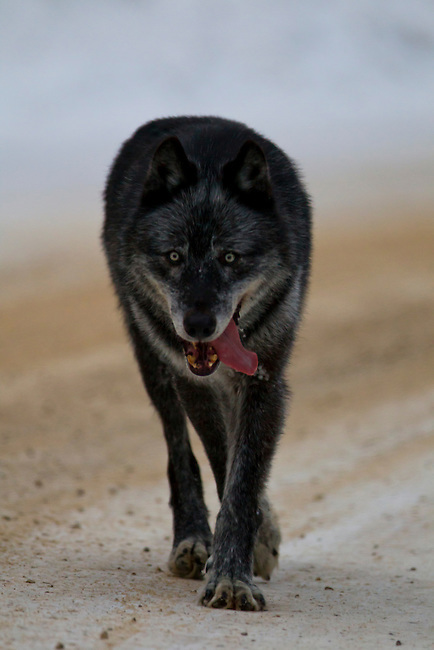 Spirit, the father wolf from the Bow Valley wolf family, walks through deep snow in a meadow in Banff National Park, winter 2012.. The pack, or family, consists of six wolves. They are on the hunt for a mule deer that ran through the area just seconds before this photo was taken. Photo By Gus Curtis 2012.